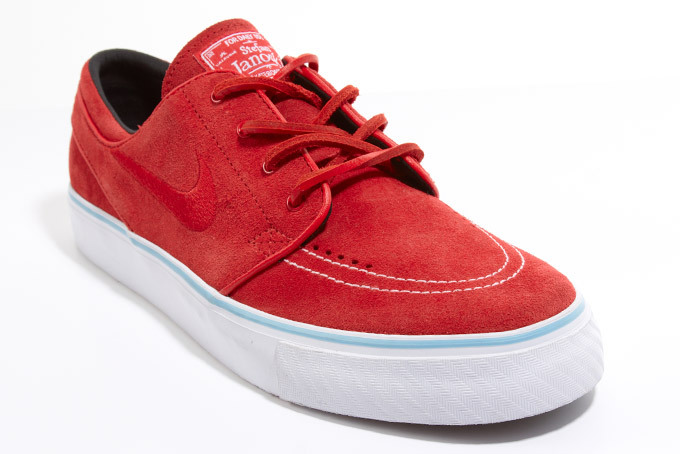 Like clockwork, the Zoom Stefan Janoski from Nike's skateboarding range shows up at retailers in an impressive colorway this month. 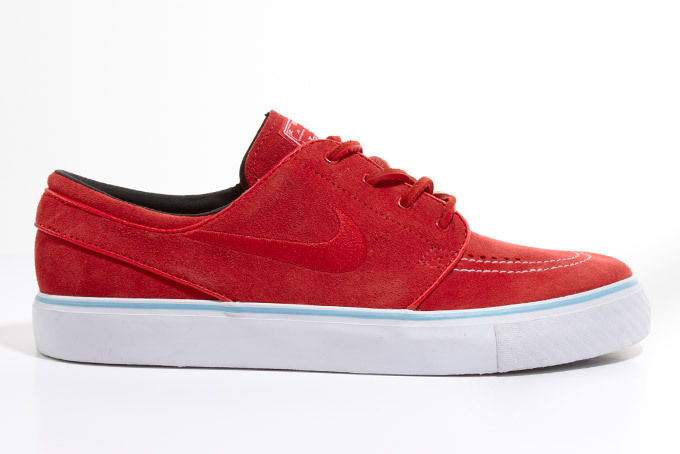 Continuing its ascension to skate greatness, Nike's Zoom Stefan Janoski is turning up at SB spots in a beautiful sport red suede colorway that will certainly have a presence in skate parks in the coming months. The classy shoe is not only finished off with a white vulcanized sole, but offset by a light blue stripe that makes a big impression in its subtlety. 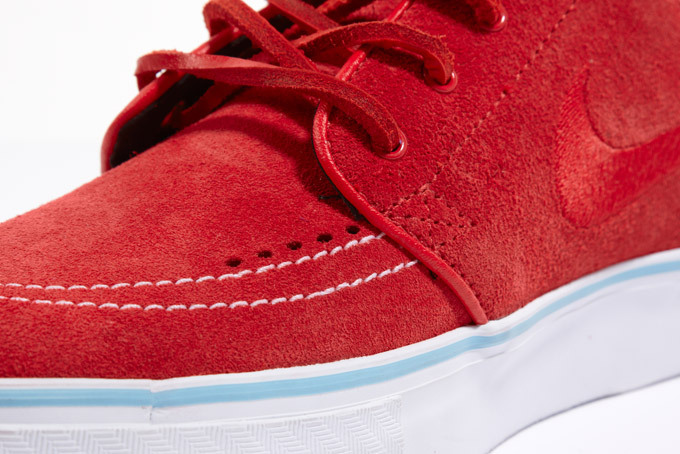 You can add these to your spring/summer skate lineup at RMK and Kix-Files today.